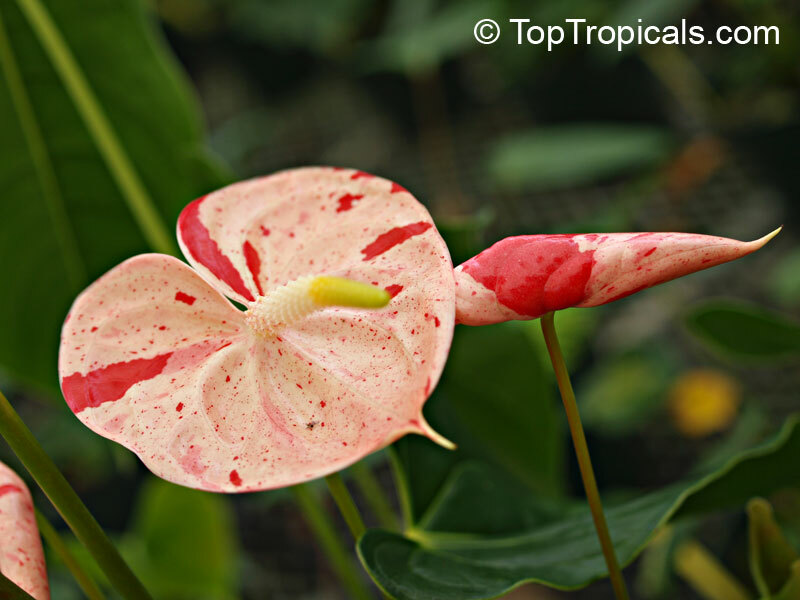 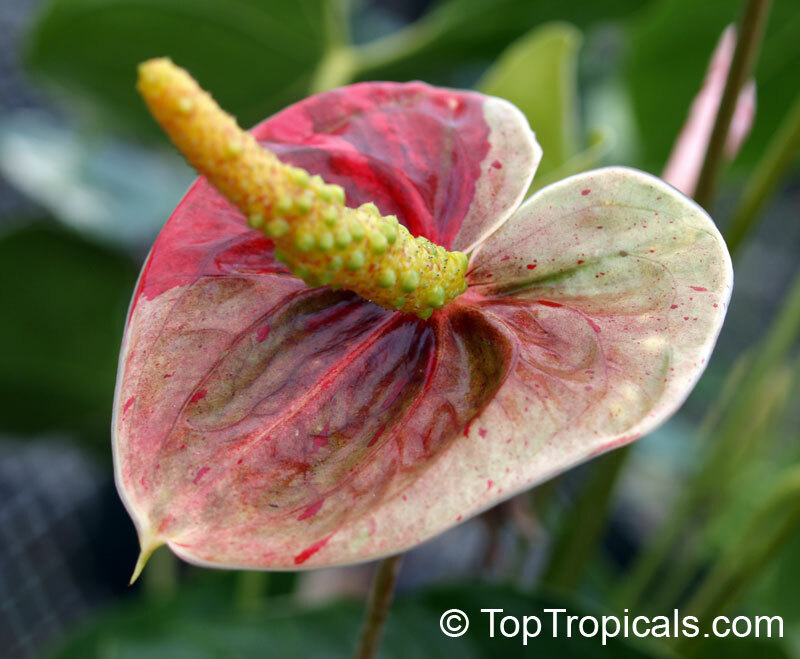 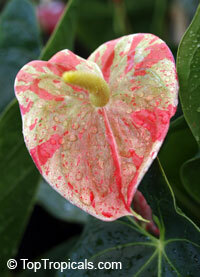 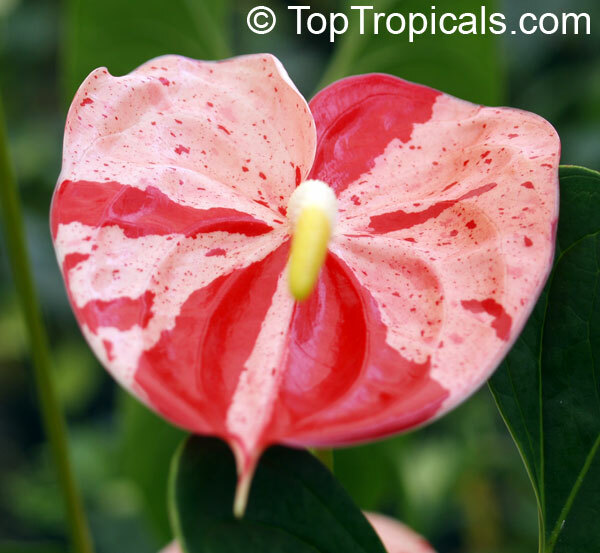 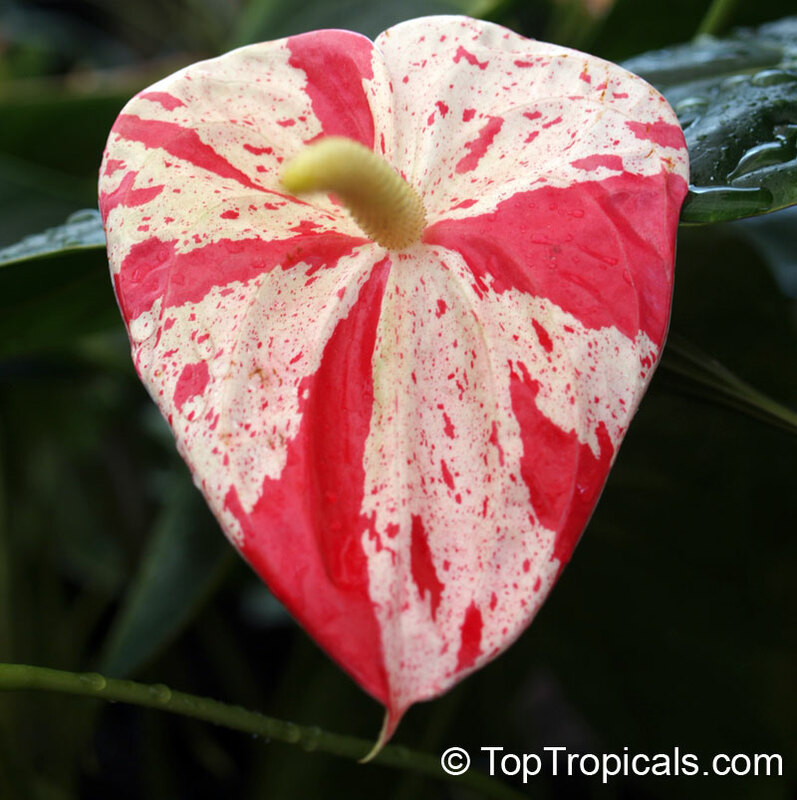 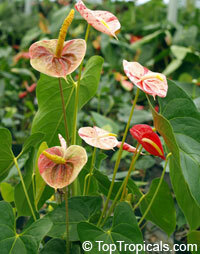 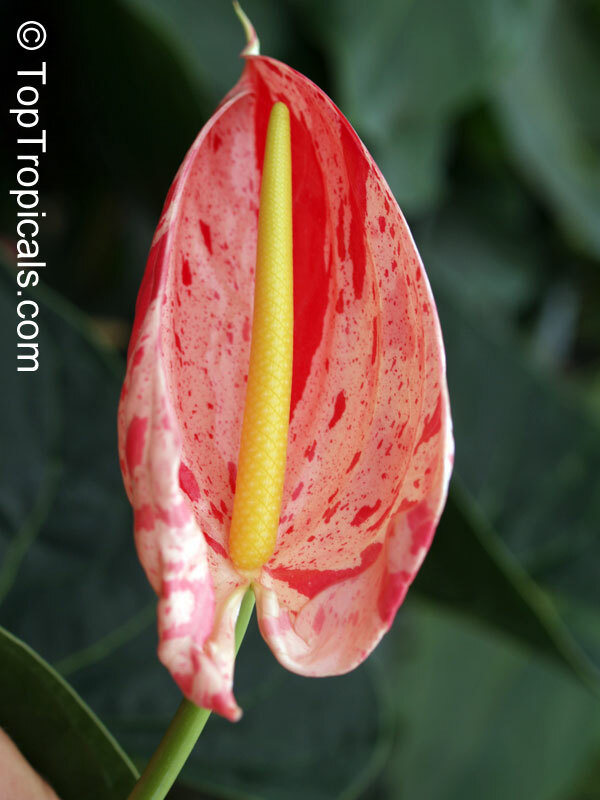 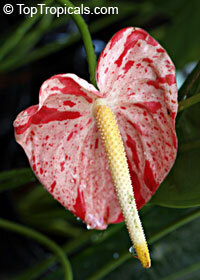 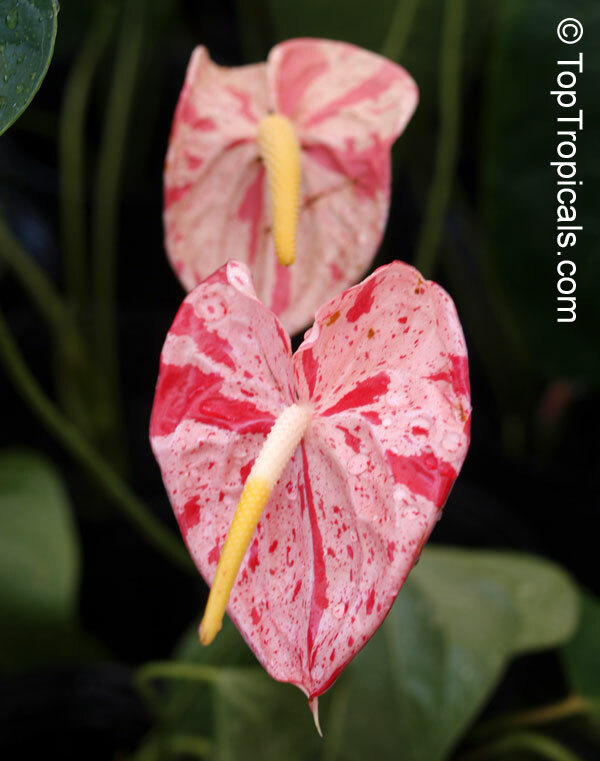 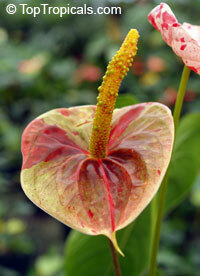 Showy cultivar of Anthurium with variegated flowers. Some flowers display very interesting designs with dots, spots and stripes. Very rare in cultivation.